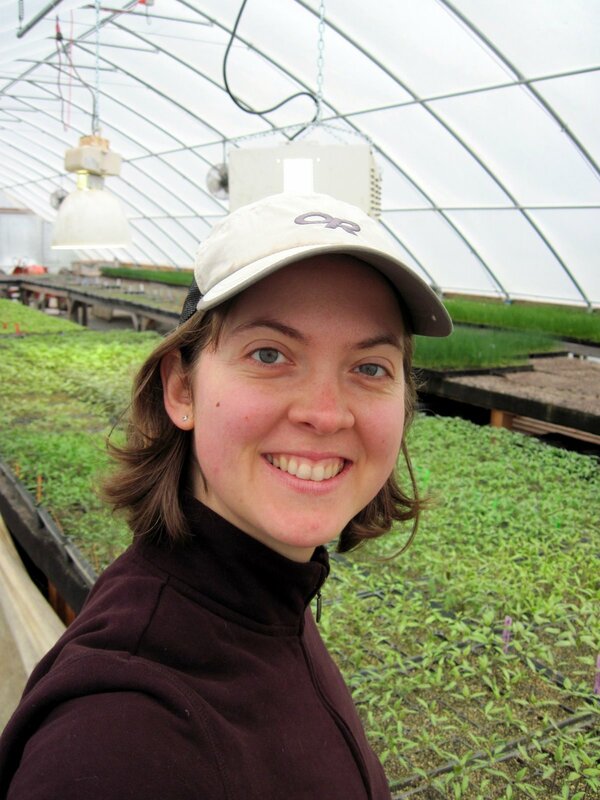 I’m Becky Warner from Seattle Washington, and my farm is called City Grown Seattle. City Grown is a multi-plot urban farm. We are growing vegetables on a quarter acre (10,000 square feet) of growing space within northwest Seattle. Our land is distributed among 8 different plots, of which 7 are in the yards of private homeowners and one is at a community center. These land partners offer us the use of their space in exchange for a portion of our harvest. We are growing a variety of vegetable crops for sale within our neighborhood of Seattle. My two farming partners, Noe and Scott, started City Grown a couple of seasons ago to experiment with the model. I joined the farm in 2012 and helped with the initial work of tripling our land area and expanding our market reach. 2012 is going to be the first year of City Grown’s CSA (11 members!) and our first time trying out a farmers’ market. We will also be holding a weekly farmstand at our house to bring our neighbors the unique opportunity to buy food grown in their own neighborhood. Starting City Grown is my first venture into self-employment as well as my first time farming on my own after two seasons of apprenticeship. I came to farming as an experiment with a new lifestyle in 2009 when I was feeling like my former career as a software developer was not really the direction I wanted to go with my life. I have learned and grown an amazing amount over these two years as I discovered a true passion for the work as well as the societal importance of small-scale organic farming. I feel extremely lucky to have gotten a feel for the practice of growing vegetables as I watched and worked alongside several amazing mentor farmers. Now with City Grown, I am ready to apply that knowledge and extrapolate it to my own particular farming situation. I am excited about our long-term goals and vision for our urban farm and also about the daily work and all the small steps that it will take to get us there. My dream is to someday make my living by growing vegetables, and this year is an important one in my journey of figuring out how to make that happen. I’m pleased to have this blog as a forum to get my ideas, joys, frustrations, and questions out of my head and shared with a wider audience. Thanks for reading! Here’s to a great 2012! « previous article: Introducing the 2012 Bootstrap Bloggers!